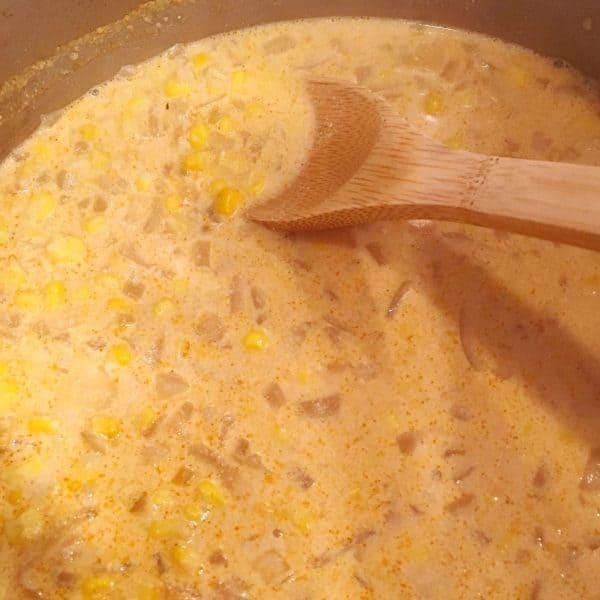 Our family tradition on Christmas Eve, for as long as I can remember, was a big heaping bowl of Grandpa Reynold’s Oyster Stew! It’s an acquired taste…one I never acquired! Not to worry! We Welcomed other delights to our Holiday dinning table. Cream of Broccoli, Clam Chowder, Chicken Noodle, and Loaded Baked Potato! Every year I like to add a new soup or chowder to our line-up! 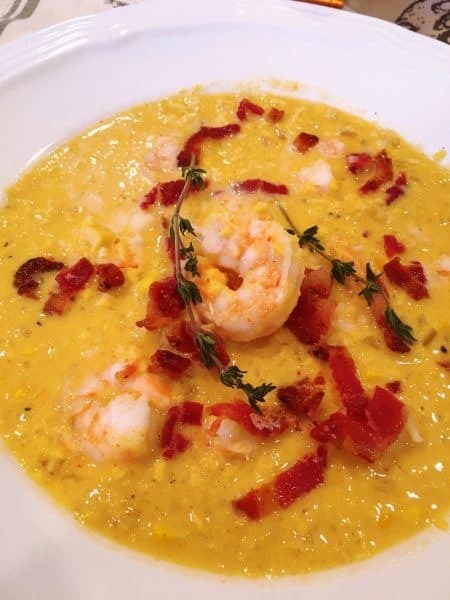 This year the winner is Bacon, Shrimp & Corn Chowder! 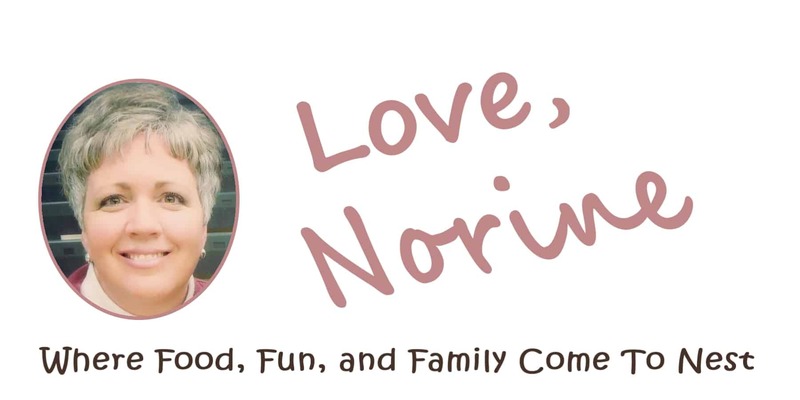 It’s quick, easy, and Ah-mazing!!! In a large pot or Dutch oven, over medium heat, Fry 5 slices of thick cut bacon. 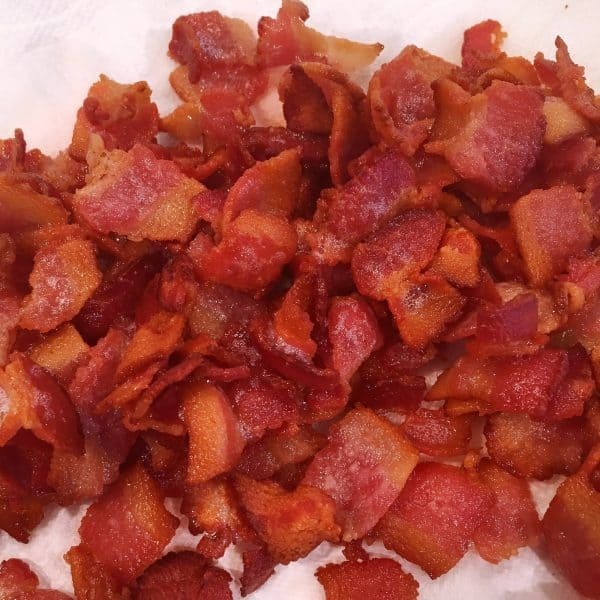 TIP: I like to pre-cut the bacon into pieces and then fry it. I also like to fry extra up to have on hand. It makes for a quick handy addition to any soup or salad. Leave 1 Tablespoon of bacon fat in the pot. 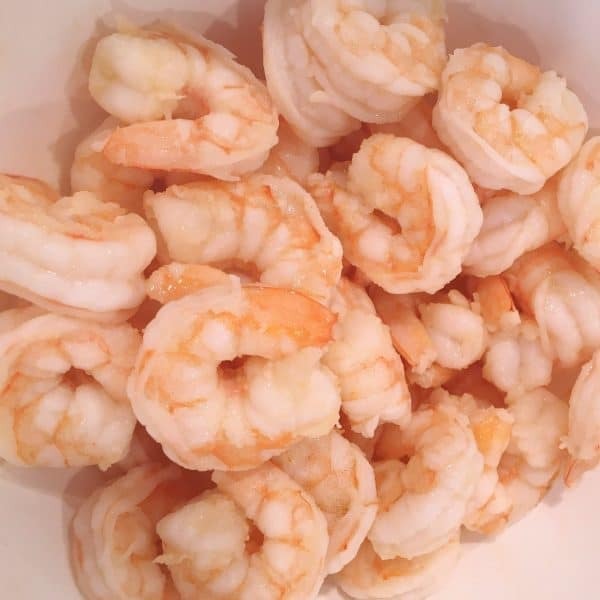 Add 1 pound medium shrimp, peeled and deveined, to the pot and cook until pink, about 3-4 minutes, stirring frequently. Shrimp should turn a beautiful pink color. 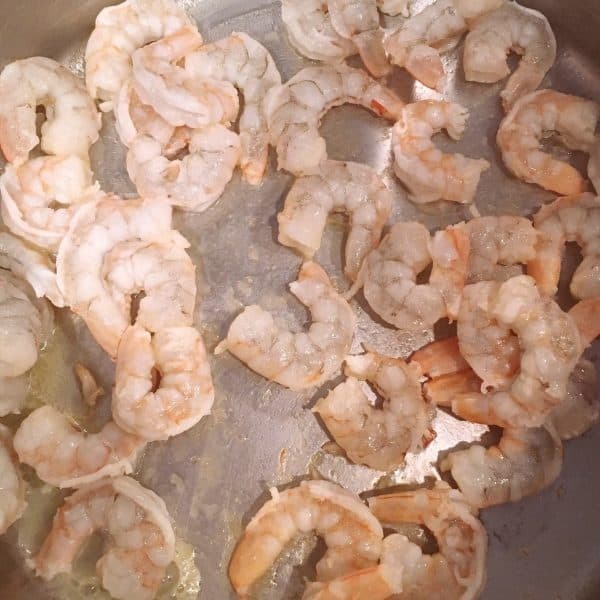 I will caution NOT to over cook the shrimp. Once they turn pink remove them immediately from the heat with a slotted spoon. Ain’t nobody wantin’ rubbery hockey pucks! So watch that cook time! Place in bowl and set aside. Leave juices in pot. Add 2 cups chopped yellow onion and 1 Tablespoon minced garlic. 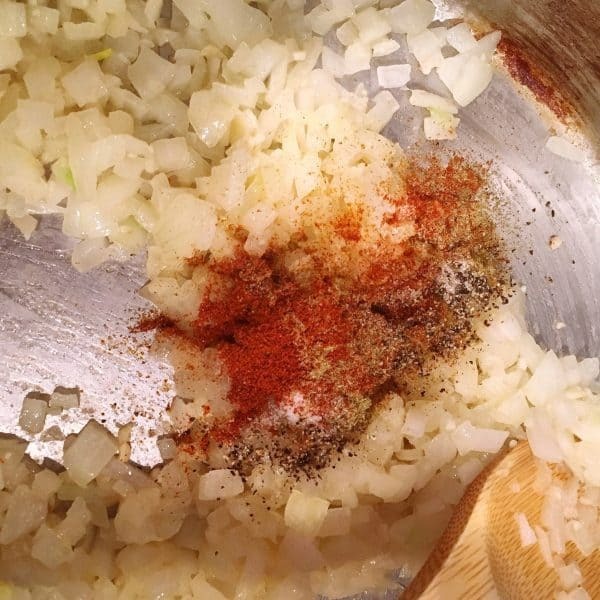 Sauté about 3 minutes, or until the onions have you crying like a baby…NO! I’m just kidding. 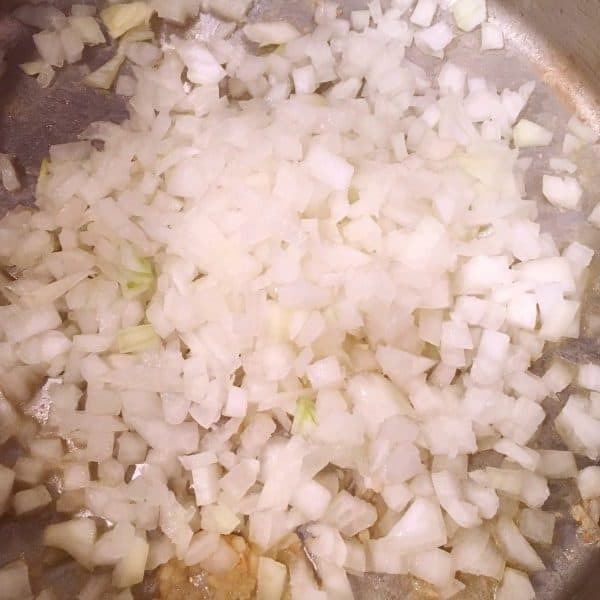 Cook until onions are soft and translucent. Add 1 teaspoon smoked paprika, 1/2 teaspoon dried thyme, pinch crushed red pepper, salt and pepper. Cook, stirring frequently for 2 minutes. Add 1 cup half and half. Stir to combine. Add 1 cup heavy whipping cream and 1/2 cup of white cooking wine and stir until well combined. The original recipe does not call for “White Wine” or Heavy cream. However, I felt this recipe was a little flat! Something was missing! It didn’t have the richness a chowder normally carries and the flavor was lacking. So I added a half cup of cooking wine and a cup of heavy cream. If you don’t like cooking with alcohol then by all means leave it out. It fixed the issues I felt were plaguing this recipe. 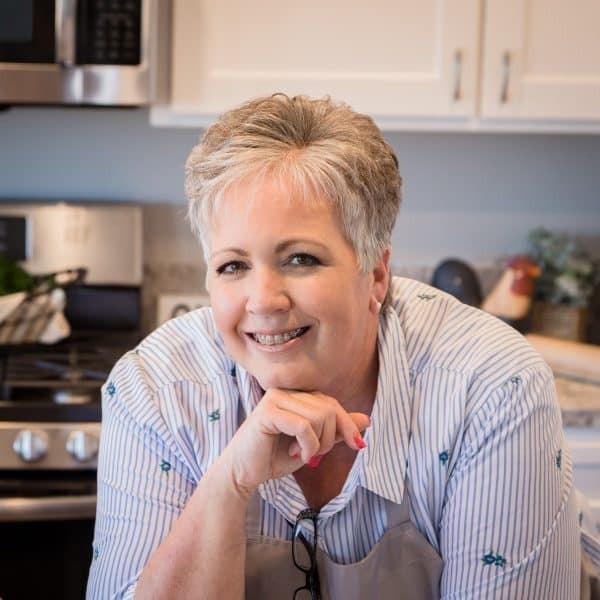 Why do I cook with wine? The alcohol in wine doesn’t add flavor to dishes so much as it makes other ingredients taste better. Way better! The alcohol helps release flavor molecules in foods (I’m going all Bill Nye on you!) and assists in dissolving fats (That’s it! I’m bathing in wine! ), allowing ingredients to reveal their own unique flavors in ways that other liquids cannot. When adding wine to a sauce, make sure you allow most of the alcohol to cook off; otherwise, the sauce may have a harsh, slightly boozy taste. (That’s not good! We’re just cooking…not drinking!) As the alcohol burns away, the flavor of the sauce concentrates, becoming more delicious. Stir to combine. Bring to a boil. 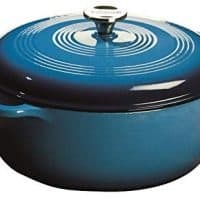 Reduce heat to medium-low and simmer for 15 minutes! Return liquids back to pot. 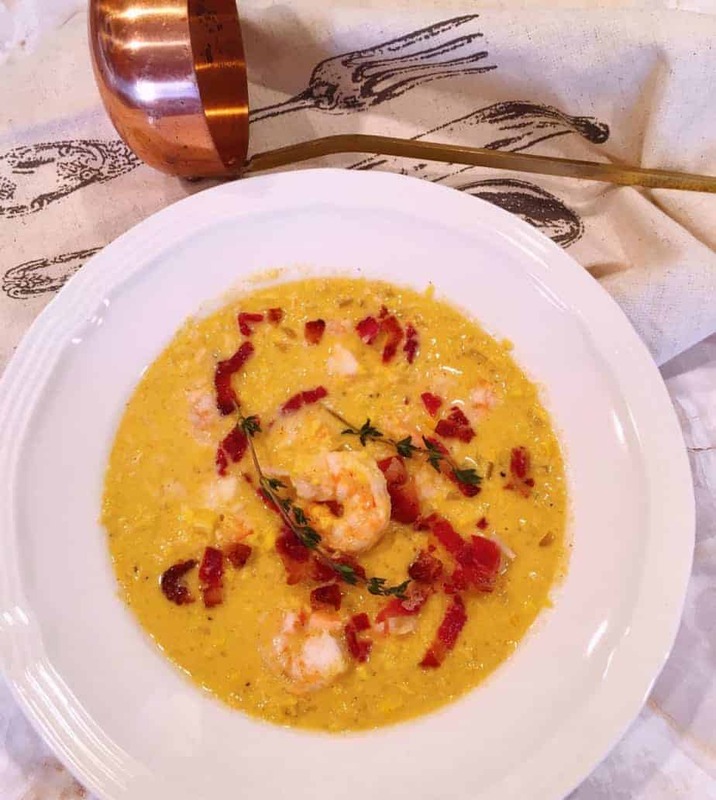 Spoon into bowls, top with cooked shrimp, bacon crumbles, and thyme sprigs, if desired. I always recommend using garnishes when serving. It completes a dish! And nobody wants a half-naked dish! 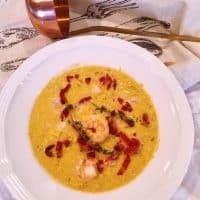 Isn’t that a truly beautiful chowder and so simple to make! I love a recipe that looks difficult… but isn’t! 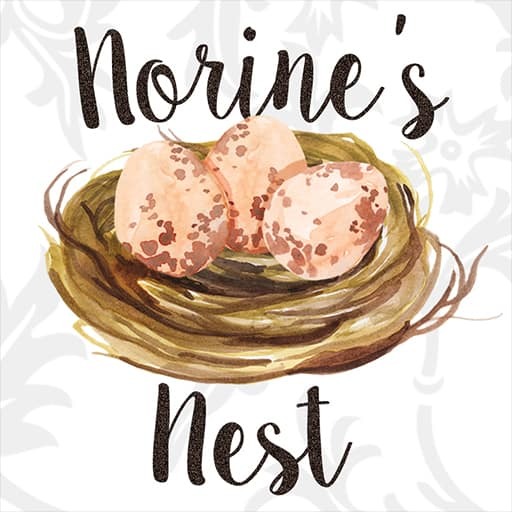 Each spoonful is loaded with the delicious rich subtle flavors of white wine, cream, and spices! 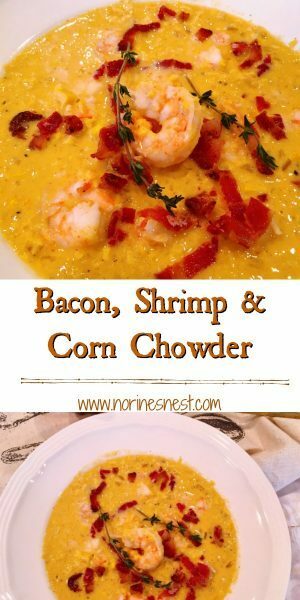 Add the sweetness from the corn, the tender juicy shrimp, and the hints of flavor from the smokey bacon…all of which…combine to make this one of the BEST homemade chowder’s. I mean this when I say…this is as good as you’d find at any fine dinning restaurant! Serve this scrumptious chowder with a loaf of crusty sour dough bread and a big green salad and you’ve got a fantastic Winter nights meal! 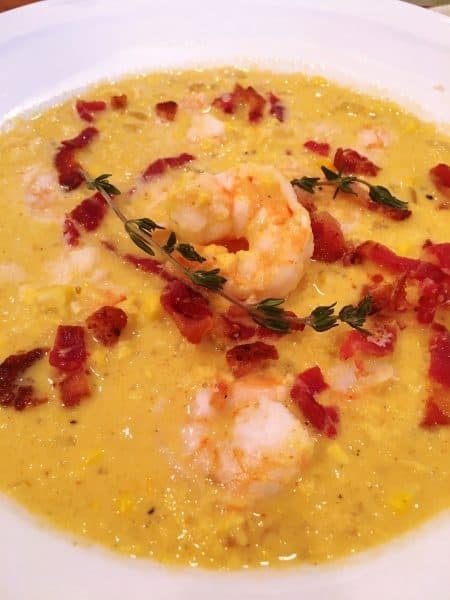 Savory Creamy Corn based chowder with bacon and tender shrimp. Loaded with flavor and so quick and easy to make. Add shrimp to the pot and cook until pink (about 3-4 minutes), stirring frequently. 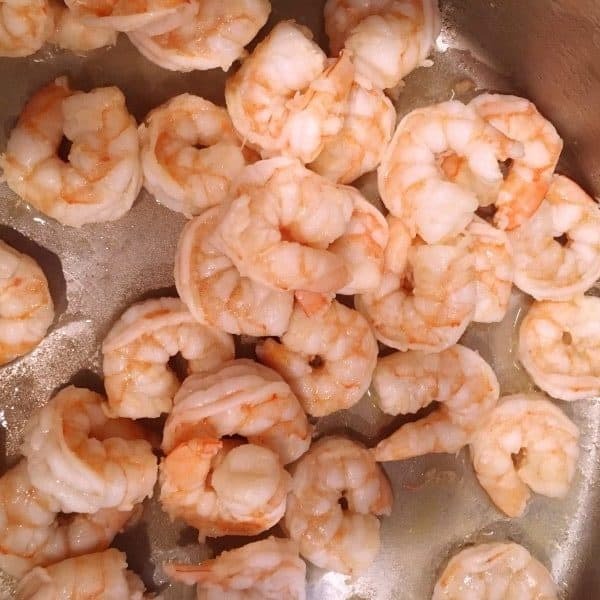 Remove shrimp with a slotted spoon and transfer to a bowl. Set aside. Leave juices in pot. Add paprika, crushed red pepper, thyme, salt and pepper. Cook, stirring often for 2 minutes. 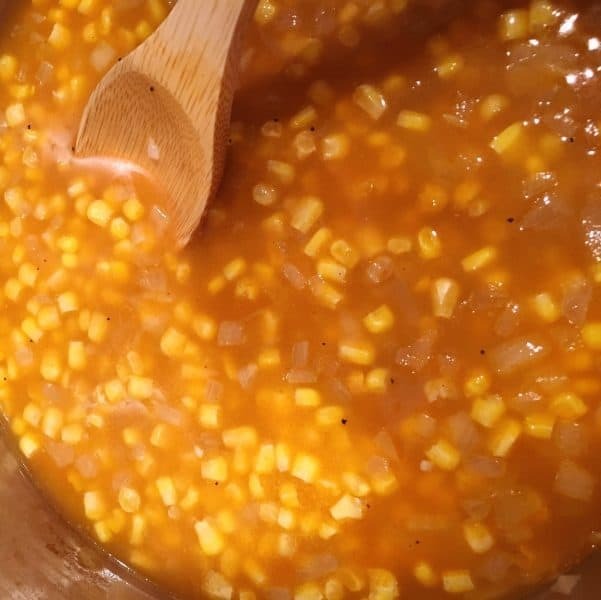 Add corn, chicken stock, half and half, heavy cream, and white wine. Stir to combine. Bring to a boil. Reduce heat to medium-low and simmer for 15 minutes. 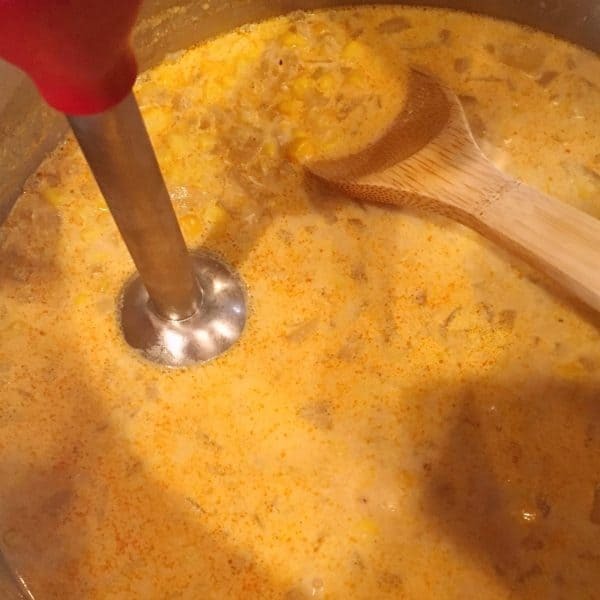 Using an immersion blender, blend about half of the soup until creamy. 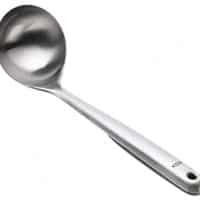 If you don't have an immersion blender, blend 2 cups of soup in a blender and pulse until creamy (exercise caution while blending hot liquids - blend small amounts at a time and hold down the top of the blender pitcher while blending because there is a risk of the to blowing off and hot liquids to blow out!) and return to pot and stir well. Garnish with fresh thyme springs, if desired.